Second hand and used Dolls & Bears for sale in your area. We compare the top second hand classified and auction sites to find you the best deal. Tudor house built in a harbour with a cargo ship which is unloading Rum and Brandy to a Tavern. It has 5 rooms all with working lights and a smoking chimney. Ground floor is the tavern with staircase. Tudor Dolls House Large hand made, unique dolls house - maker unknown The house sits on a wooden tiled plinth This is VERY Heavy and will need 2 strong people to lift it and suitable transport. Clay.. WOODEN DOLLS HOUSE WOODEN WARDROBE SINGLE TOY Doors open. 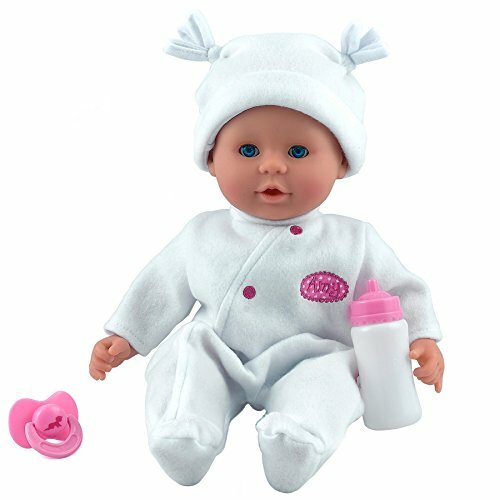 Great reborn doll with a fabric body making it easy to position. Currently dressed as a boy but could easily be a girl too.... Perfect for children and collectors alike. Great condition only selling..
Nightmare Before Christmas Jack & Sally Dolls In good pre~loved condition from a smoke free home. Please see photos as these form part of my description. Zampiva Female Doll Blue Dress. Made in Italy. 5 Inches Tall. Hair Intact. 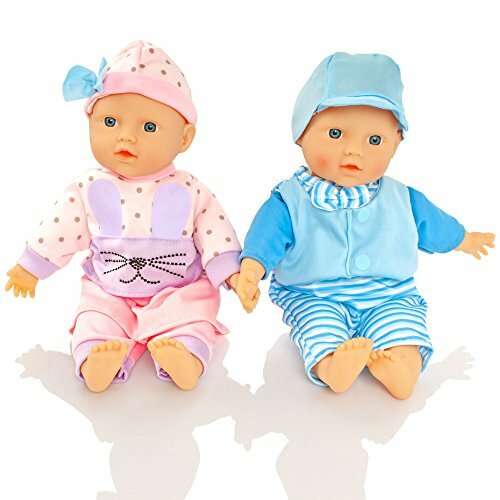 Zampiva Female Doll Blue Dress. Made in Italy. 5 Inches Tall. Hair Intact.. Condition is Used. Dispatched with Royal Mail Signed For® 2nd Class. 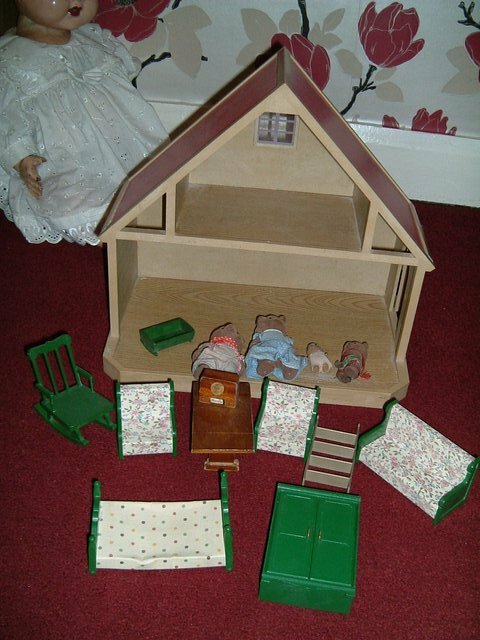 Dolls house in great condition purchased for my granddaughter.....bought it a year ago for 155.00 and rarely played has all original furniture quite heavy and big....probably best not to dismantle as. Selling our vintage original felt and wire handmade dolls, 4 in this group mum,dad and 2 children very detailed in great condition for their age, measure 7 cms and 6 cms. Can post for free to the uk..
Zampiva Micro Female “Shannon “Doll Made in Italy. 4 Inches Tall, Hair Intact.. Condition is Used. Dispatched with Royal Mail Signed For® 2nd Class. Stunning 4 storey pink dolls house with a complete family of dolls. 4 floors; 3 floors with 2 rooms and a hallway on each floor and a fourth floor with an attic in the roof. The dolls house measures..
Vintage Sewing Collectables: Four Dressed Peg Dolls and a Lace Making Character Doll. Lace Making character celluloid doll on a wooden mount wearing a lace-trimmed black dress, glasses and a lace cap. Aurora - Sleeping Beauty - Disney Nesting Dolls Mystery Pin. Condition is Used. Dispatched with Royal Mail 2nd Class. VINTAGE KOKESHI JAPANESE WOODEN HAND PAINTED DOLL - SIGNED - 19 CM. Condition is Used but very good. Dispatched with Royal Mail 2nd Class. Two early Novelty Postcards of Dolls with Glass Eyes. Two pre 1914 novelty postcards of dolls with glass eyes. Unposted. Miniature rattan Peacock chair dolls teddy bears childs toys collectable No. 2. Rapunzel- Tangled-Disney Nesting Dolls Mystery Pin. Condition is Used. Dispatched with Royal Mail 2nd Class. I paid over Â£1000 for this set and have only opened one box to look at the pieces. Can deliver locally. Vintage Musical Box Doll Sat In Armchair 1970's?